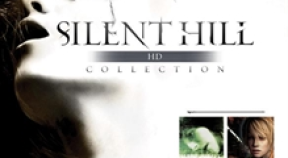 Unlock all Achievements in SH2. Unlock all Achievements in SH3. Complete SH3 in 3 hours or less. What the Hill Just Happened? Acquire the Gold and Silver pipes. Complete SH3 with 2 saves or less. Acquire the Unlimited Submachine Gun. Defeat Split Worm in under 2 minutes. Defeat Missionary in under 2 minutes. Defeat Leonard in under 3 minutes. Defeat Memory of Alessa in under 3 minutes. Defeat God in under 8 minutes. Defeat at least 75 enemies by shooting in SH3. Defeat at least 75 enemies by fighting in SH3. Pick up at least 100 items in SH3. Receive less than 500 points of damage in one game, in SH3.